The Campfire Songbook is a wonderful collection of everyone’s favourite campfire songs! Whether you’re young or old, there is something for you in this unique collection of songs. 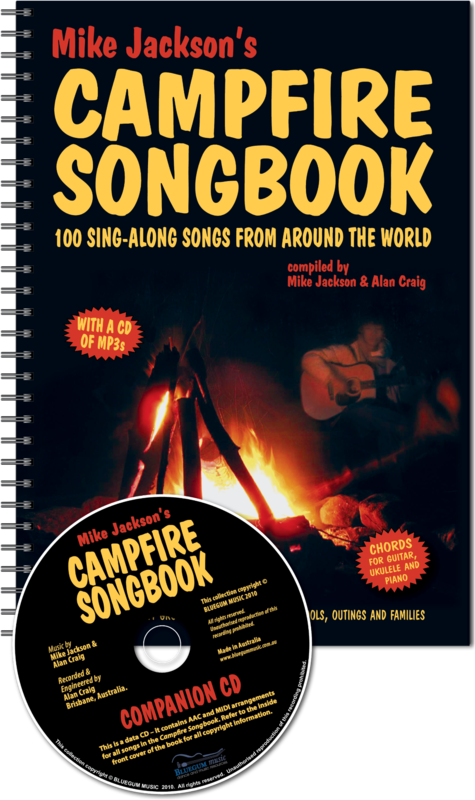 All the songs in the Campfire Songbook have been collected by Mike Jackson and Alan Craig over many years, and every one is a proven favourite. 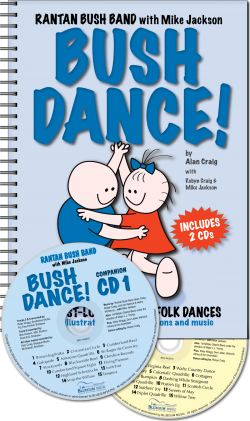 In this sturdy spiral-bound book, you will find 100 timeless tunes from around the world – folk songs, blues ballads, country songs, jazz songs, fun songs, spirituals and kids’ songs – all with music, lyrics and easy-to-play guitar and ukulele chords! So, whether you’re sitting by the campfire at night, leaning against the old piano, or just sitting with friends around the barbeque, you’ll find dozens of lusty sing-along numbers in the Campfire Songbook to keep you and your friends entertained for hours! 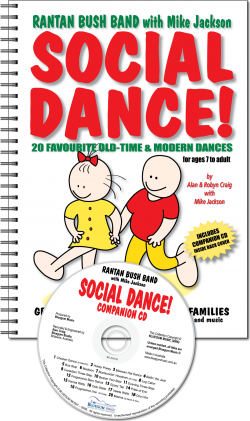 The Campfire Songbook comes with a data CD that contains a simple backing of each tune in both MIDI and AAC (advanced MP3*) formats. MIDI files can be played on your computer or laptop using any MIDI player (most computers come with one installed, but there are good low-cost and free ones available on the Internet). This format allows you to vary the tempo, change the key, or even alter the instruments. The AAC files can be installed in your iTunes or Windows Media Player centre and downloaded to your iPod or other MP3-style players. We are currently working on a Campfire Songbook ‘app’ for the iPod, iPhone or iPad: so you’ll be able to take your songs with you everywhere you go! 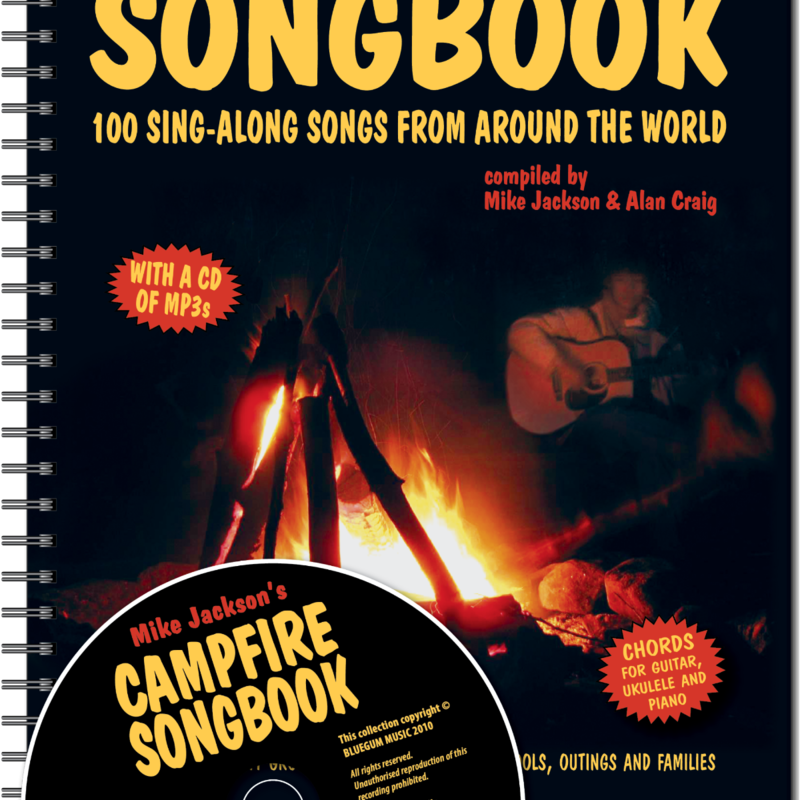 The Campfire Songbook is ideal for schools, campers, hikers, scouts and guides, youth/church groups, and family sing-alongs. 25. Do Your Ears Hang Low? 58. Oh, Dear! What Can the Matter Be? * AAC stands for Advanced Audio Coding, and is the successor to the MP3 format – it comes with a .m4a extension. 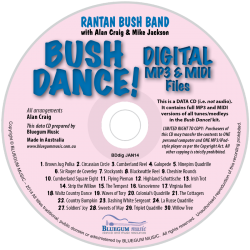 This audio format is generally of a higher quality than the MP3 standard, and has smaller file sizes. The following are some of the devices that support AAC: All Apple products (iPod, iPad, iPhone, Mac computers), DivX Plus Web Player, Sony PlayStation 3/Portable, Sony Walkman, Sony Ericsson phones, Nokia S40 & S60, Android phones, Nintendo Wii and the MPEG-4 video standard.